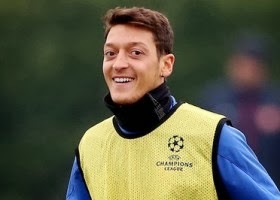 It has been reported that Arsenal legend Thierry Henry defended Mesut Ozil for not thanking away fans at the end of their thrashing by Manchester City. The legendary French striker did not see the big deal with the complaints about the former Real Madrid star not walking over to the fans. The NYRB striker said on Match of the Day on Saturday evening: “I guess he was upset because Arsenal lost but for me that’s not a big deal, he’s been brilliant since he arrived. “They didn’t play well as a team today, it wasn’t an Ozil thing, it’s nothing.